Company Sergeant-Major John Osborn awarded a Victoria Cross during Battle of Hong Kong in WWII. 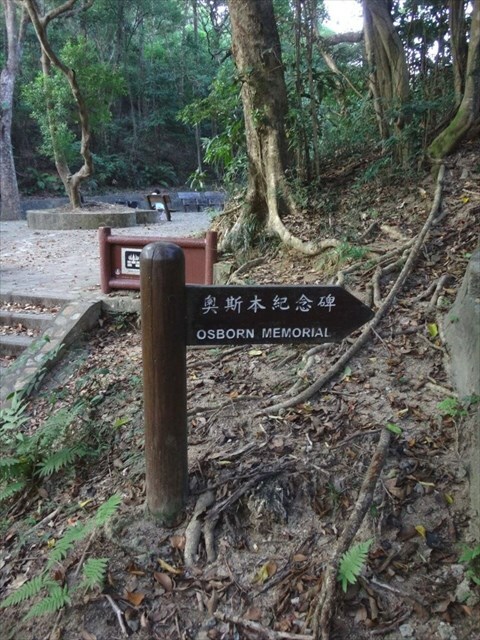 In 2005, a plaque remembering Osborn's sacrifice was unveiled on the Wilson Trail parallel to where he fell. The supposed spot where he died is marked by a pile of rocks nearby the sign, but is relatively inaccessible due to heavy foliage. The Victoria Cross (VC) is the highest military decoration awarded for valour "in the face of the enemy" to members of the armed forces of various Commonwealth countries, and previous British Empire territories. It is first in the order of wear in the United Kingdom honours system, and takes precedence over all other orders, decorations, and medals, except the George Cross, with which it shares equal precedence. It may be awarded to a person of any military rank in any service and to civilians under military command. The VC is usually presented to the recipient or to their next of kin by the British monarch at an investiture held at Buckingham Palace. The VC was introduced on 29 January 1856 by Queen Victoria to honour acts of valour during the Crimean War. Since then, the medal has been awarded 1,357 times to 1,354 individual recipients. Only 14 medals, ten to members of the British Army, and four to the Australian Army, have been awarded since the Second World War. John Robert Osborn, VC (2 January 1899 – 19 December 1941) was a Canadian recipient of the Victoria Cross, the highest and most prestigious award for gallantry in the face of the enemy that can be awarded to British and Commonwealth forces. He was born in Norfolk, England, and served in the Royal Navy during World War I. He was 42 years old, and a Warrant Officer Second Class, holding an appointment as Company Sergeant-Major for A Company in the 1st Battalion, The Winnipeg Grenadiers, Canadian Army, (Canadian Infantry Corps) during the Second World War when the following deed took place for which he was awarded the VC. 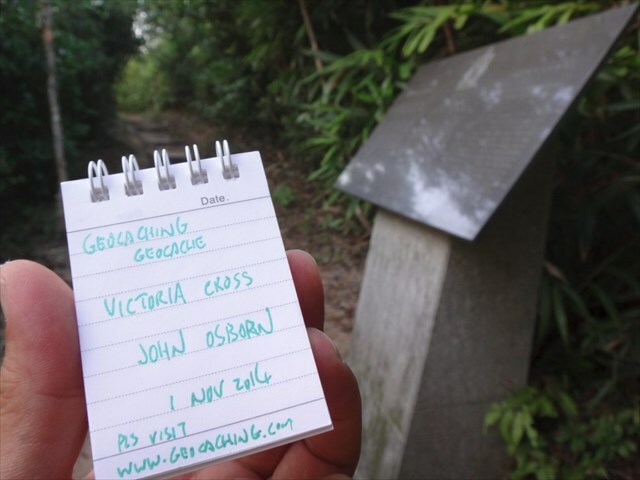 At Hong Kong on the morning of 19th December 1941 "A" Company of the Winnipeg Grenadiers to which Company Sergeant-Major Osborn belonged became divided during an attack on Mount Butler, a hill rising steeply above sea level. A part of the Company led by Company Sergeant-Major Osborn captured the hill at the point of the bayonet and held it for three hours when, owing to the superior numbers of the enemy and to fire from an unprotected flank, the position became untenable. Company Sergeant-Major Osborn and a small group covered the withdrawal and when their turn came to fall back, Osborn single-handed engaged the enemy while the remainder successfully rejoined the Company. Company Sergeant-Major Osborn had to run the gauntlet of heavy rifle and machine gun fire. With no consideration for his own safety he assisted and directed stragglers to the new Company position exposing himself to heavy enemy fire to cover their retirement. Whenever danger threatened he was there to encourage his men. During the afternoon the Company was cut off from the Battalion and completely surrounded by the enemy who were able to approach to within grenade throwing distance of the slight depression which the Company was holding. Several enemy grenades were thrown which Company Sergeant-Major Osborn picked up and threw back. The enemy threw a grenade which landed in a position where it was impossible to pick it up and return it in time. Shouting a warning to his comrades this gallant Warrant Officer threw himself on the grenade which exploded killing him instantly. His self-sacrifice undoubtedly saved the lives of many others. Company Sergeant-Major Osborn was an inspiring example to all throughout the defence which he assisted so magnificently in maintaining against an overwhelming enemy force for over eight and a half hours and in his death he displayed the highest quality of heroism and self-sacrifice. Osborn was the first Canadian awarded a Victoria Cross in the Second World War. His was the only Victoria Cross awarded for Battle of Hong Kong.